Hi friends! I'm back with the 1-2-3 card design for October. 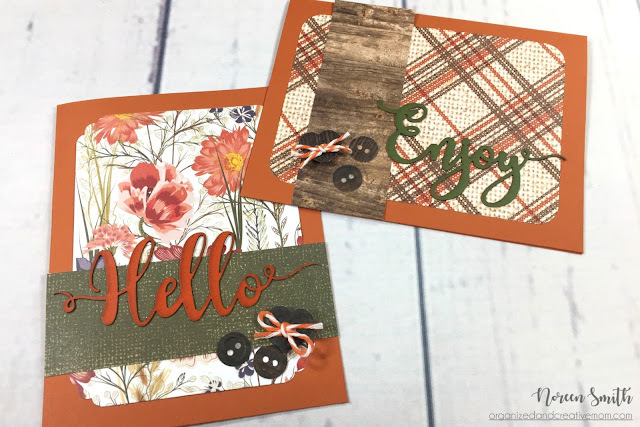 This month I'm using the papers and die-cut word art embellishments from Creative Memories "Countryside Comfort" collection! While not specifically a fall collection, the rich colors certainly fit right in with the season. 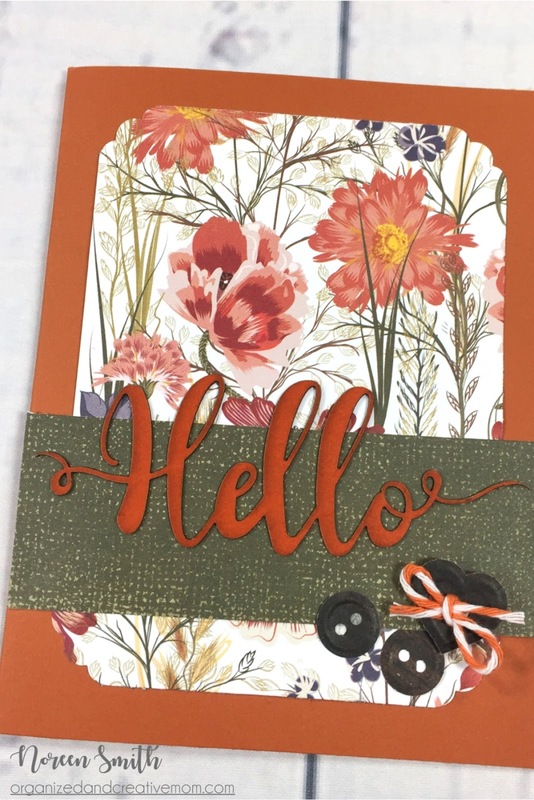 As you know, my 1-2-3 Cards can be made quickly and easily with 1 Sentiment, 2 Paper Shapes and 3 Embellishments. Easy, fast and fun! And I'm back on track this month to offer you the chance to win a kit to create these cute cards yourself...all you have to do to win is leave a comment at the end of this blog post or under the video on my YouTube Channel or both! At the end of the month I'll draw a random name from all the comments on both sites and send the lucky winner a kit to create both the cards featured. 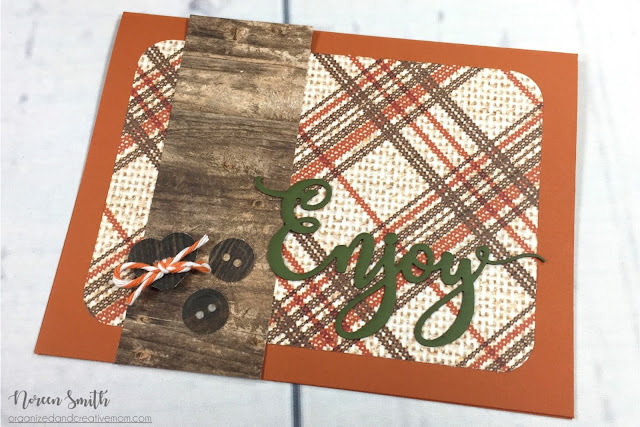 So go get your favorite beverage and relax for a few minutes as I show you how quickly this month's cards come together. Love these! I love ways to use my punches more! I love simple beautiful cards and these fit that bill in spades. Thank you for all these lovely and informative videos.